Ever since we went to Ethiopia in August 2007, we felt an even greater burden for the orphans there and throughout the world. Since coming home, we've been praying and thinking of ways we can give back. Coffee seemed to be the best way, because Ethiopia is the birth place of coffee, and approximately 60% of Ethiopia's employment is related to the coffee industry. It's a huge part of Colombia's culture as well. 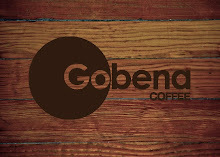 So, we started Gobena Coffee to sell freshly roasted, Fair Trade coffee from Ethiopia, Colombia, and Guatemala. 1. Buying fair trade coffee helps the farmers in those countries get a fair share of the revenue to help them provide for their families. 2. 100% of the net profits from Gobena Coffee will be reinvested in the lives of orphans throughout the world. You can check it out at Gobena.org. Go to the store link to order your coffee and have it shipped to you, or just send us an email at GobenaCoffee@yahoo.com to place an order, and pick it up. I’m in verse 2 and I look to my left and am hit like a blind side pick and roll. Swaying on the front row was a guy I later learned was named Matt. Standing in front of him was another guy named Jefferson. It was a moment that stands out above all else in my 11 years of leading worship. 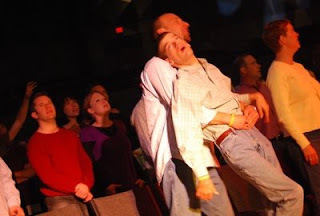 You see Matt and Jefferson were worshipping God, together. Jefferson has severe cerebral palsy. He has little, if any control over his body. Matt was standing behind Jefferson. Dancing with Jefferson and singing at the top of his lungs. Jefferson was singing too. I think could hear him. And it was the most beautiful song I have ever heard. 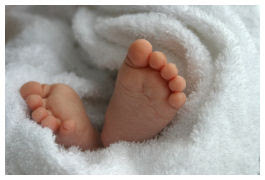 On March 3rd we re-adopted Eva....so now she has an Illinois birth certificate and her name is legally Eva Danae . We had an AWESOME case worker Jennifer..she is the one on the far right...She has been with us since Isaac was 6mon. old. We will miss you Jennifer, but hopefully we will keep in touch. You've been tagged!Rules of play:Post 10 random things about yourselfChoose 5 people to tag and a reason you chose each person (can be totally nonsensical)Leave them each a comment directing them to your blog so they know they are it .You can't tag the person who tagged you (you'll have to make new friends)As a courtesy to the person who tagged you, please let them know when you have posted so they can have the sheer delight and extra work load of reading your answersPlay!! #1. I love MEXICAN food, it is my all time fav. #6. 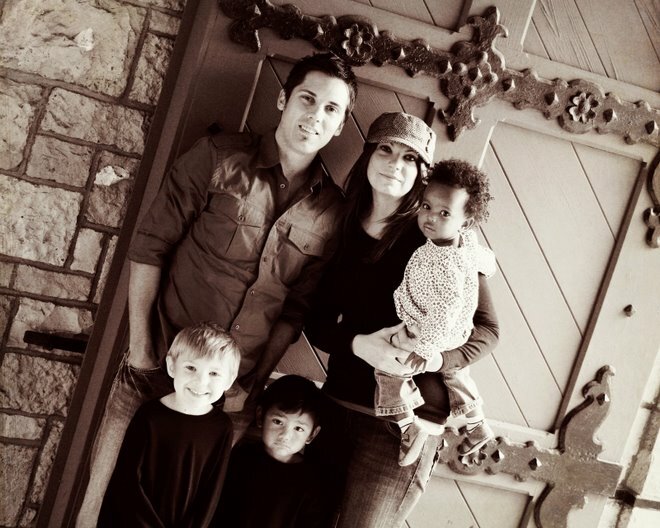 My husband and i are starting up a company that sells coffee and all the proceeds go to help out orphans in some way. Stay tuned for more on that! #7. I am a total people person. I would rather talk to you on the phone than email you any day. #10. I love meeting new people on this blog. It would be great to have a bloging reunion sometime . As you can see we changed a few things on the blog...This picture that you see was taken on the Comassion Trip to Uganda that our friends went on. We thought that it was very fitting since we are solid rock. Anyway this picture was taken by Keely who was on that trip as well. The picture was taken at one of the Compassion International projects. Thanks Keely for letting us use the pic. I am big into this authenticity thing. I really think that it can make a big change in this world that we live in . I have a friend who always say's "Be true to yourself, others and God", so I am going to take that quote and run with it. I am going to be true to myself, others and God!!!! How about you? What do you think? This is Eva's friend Maya, they were in the orphanage together...anyway I don't think she likes her turkey dog.